Colorado Golf Hall of Famer Brandt Jobe started off the PGA Tour Champions season in typical fashion this week — which is to say, with another top-10 finish. 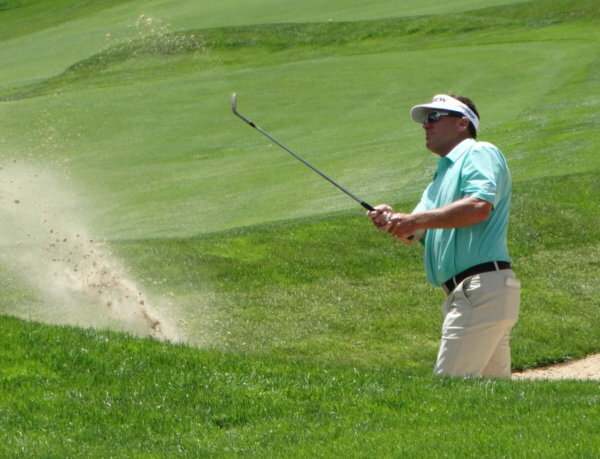 Jobe, who lived in Colorado from 1970 to ’99 and won a Colorado Open, three CGA Match Plays and a CGA Amateur, tied for eighth on Saturday in the Mitsubishi Electric Championship on the Big Island in Hawaii. Jobe (left) shot three consecutive rounds in the 60s — 69-69-68 — to post a 10-under-par 206 total, which left him seven strokes back of champion Tom Lehman, who posted back-to-back 65s to close the tourament. In Saturday’s final round, Jobe made an eagle, five birdies and three bogeys. Jobe, 53, has now recorded 21 top-10 finishes in 65 PGA Tour Champions events, which means he hits that standard nearly a third of the time. He’s finished in the top 20 in the Schwab Cup standings each of his three full seasons on the circuit. Jobe’s lone win to date on the senior circuit came in 2017 at the Principal Charity Classic in Iowa. For all the scores from the Mitsubishi Electric Championship, CLICK HERE.